Joining an existing Mastermind Group has traditionally been difficult – mostly because even finding Mastermind Groups (let alone groups that are compatible with you and your business) has been next to impossible. Masterminders Australia is working at creating a community of people/businesses interested in masterminding – allowing people interested in Joining a Group, and Mastermind Groups interested in finding new members to connect. 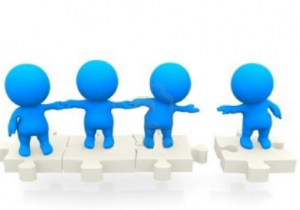 The intention is that our Members Directory will provide search/filter capabilities to locate individuals looking for a group, and our Members Business Directory will allow existing Mastermind Groups to publicise themselves, and invite contact from potential new members. It will take some time before we have enough listings to make this a useful tool, in the interim there are still some things that you can do to Join a Mastermind Group. There are businesses that specialise in creating, managing and facilitating Mastermind Groups, and in fact, if you are new to masterminding, joining a Facilitated Mastermind Group is a great way to learn the fundamentals and see what benefits a structured group can offer you. It’s also a great way to see which aspects of masterminding are going to be most useful to your business. You can find some of these types of businesses under the Masterminding Services Category in our Business Directory. Most members of Mastermind Groups also regularly attend other Business Networking functions – because they want to grow their business, and understand the importance of meeting and collaborating with other business owners. When you speak to other business owners, make a point of asking them if they know about Masterminding – you may be surprised how many do. Even if they are not in an existing group that is recruiting new members, they may be interested if you decide to Create your own Mastermind Group. If you do find an existing Mastermind Group, contact them and see if they are interested in recruiting new members…. If they are interested, they will probably;y invite you along to a few of their meetings as a trial to check whether you are “compatible” with the group. It is important that you are clear in your own mind what you hope to achieve, that you express this to the group, and also that you determine what the Agenda and Ground Rules for the group are. Don’t just join a group just because you can… it is important that you get value out of, and contribute to the group.